I would like to thank everyone who came to Jim's service on Saturday, the turn out was great. I would like to thank also those who had a hand in making it possible and the planning. There are so many it's hard to name all of you. Again to everyone who was there I thank you from the bottom of my heart for your participation. Hi this is Suzy Frahm (Shiels) Jim's youngest daughter I tried my best to be there today but couldn't find a way down there. this is my only means to let everyone know how grateful I am to all of you for being a part of my fathers life! 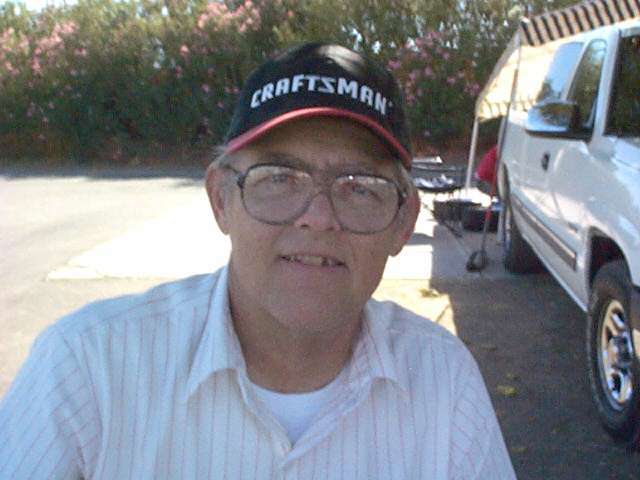 i would also like to thank Jo for being there for my dad! I would also like to thank the Belletto family for everything they did for my dad!!!!!!!!!! thanks also goes to the track owner and staff for the use of the track!!! I will try and make it to 1st race to thank people in person. His family is forever grateful for all your kindness, support and love you showed him !! The joke was on us. 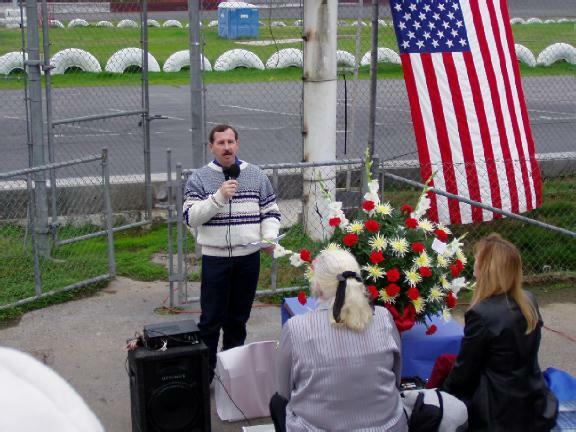 Here we sat, a few hundred cool but comfortable souls, to honor Jim Shiels at a memorial service Saturday at Stockton 99 Speedway. 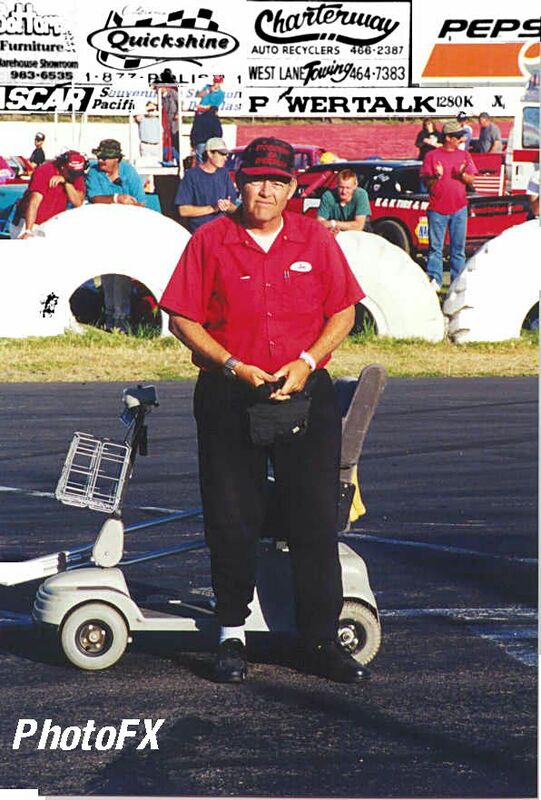 It began with Sonny Nabors, his brother-in-law, taking a lap around the quarter-mile oval on the little cart Shiels used to get up and down the hill after having a lower leg amputated because of diabetes a few years ago. 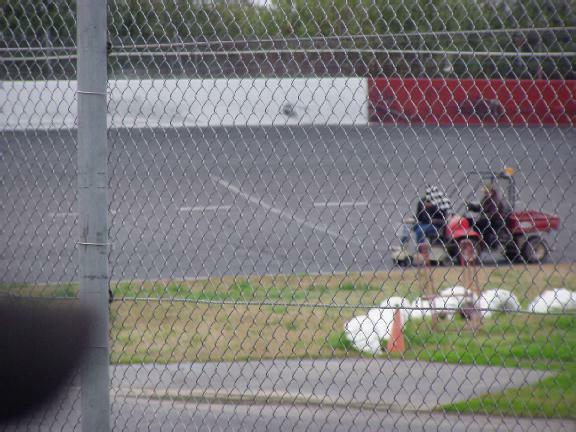 As Frank Sinatra sung ''My Way,'' the cart stalled coming out of turn two. A few chuckles eased a bit of the seriousness. 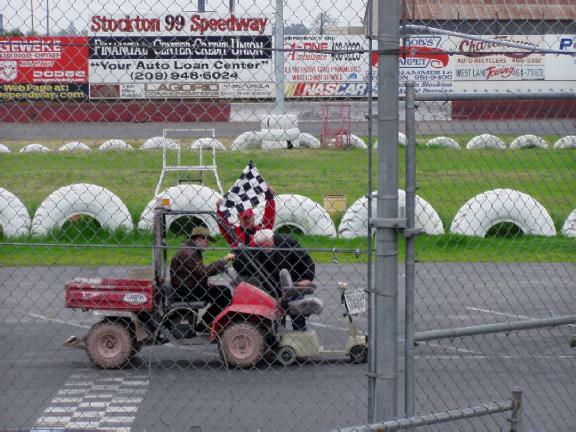 The cart had to be pushed around the track, but we applauded anyway as Nabors approached the start/finish line. Lo and behold, after the applause ended, the cart started. Laughter. Walter James Shiels touched us all one more time Saturday, in the two places where it counts most -- the funny bone and heart. He passed away on Dec. 23, two days after his 59th birthday, following a long illness. 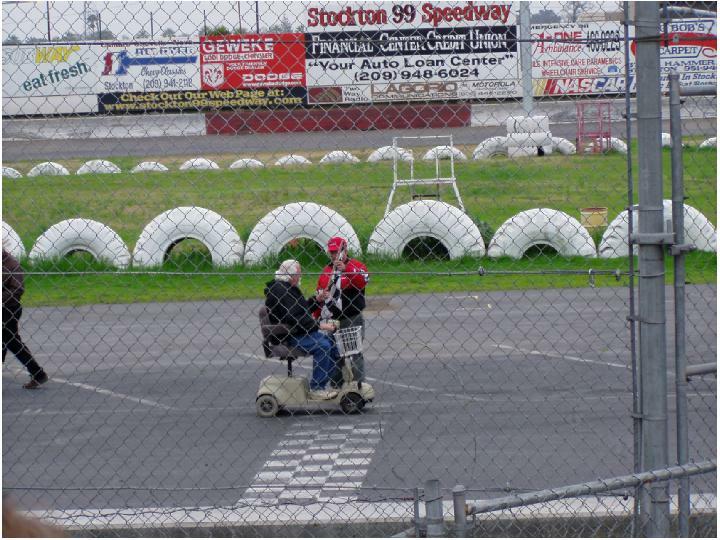 He was the author of eight manuscripts on auto racing, including ''Fifty Years and Still Turning Left,'' about the history of Stockton 99 Speedway. 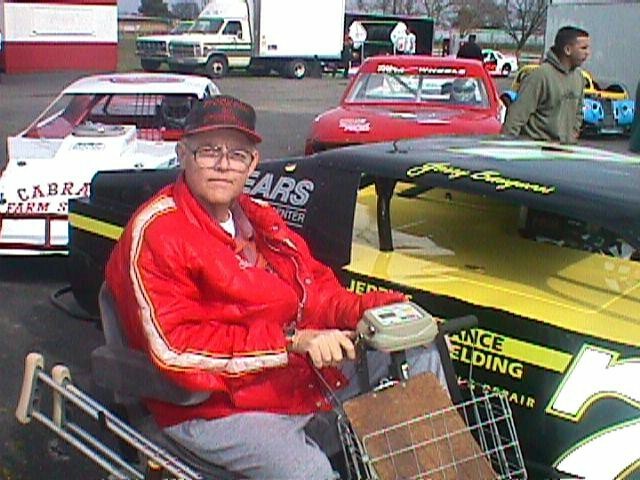 He sponsored several drivers over the years at 99, including Harry Belletto, Ron Strmiska Sr., Dan Reed, Ken Boyd and the late Ivan Baldwin. 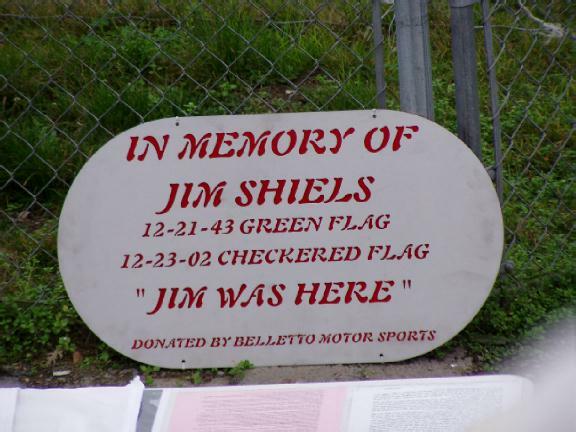 Shiels also worked at Delta Speedway and Altamont Raceway Park. He was named sportsman of the year at 99 and Delta and won the first -- and so far, only -- Boro Award in 2001, named after late track manager Duane Borovec. Shiels was an absolute professional as a public relations person and statistician, and his knowledge of motorsports was most impressive. In the press box, he was equally helpful and courteous to grizzled veteran scribes and cub reporters. Shiels was just a lot of fun to be around. 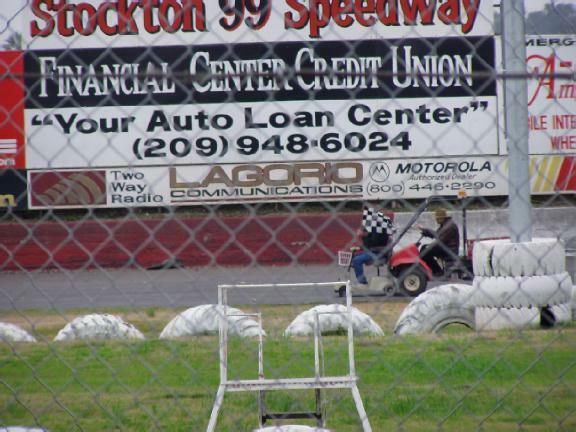 Hot tempers aren't rare at Stockton 99 on race nights, but never Shiels. He always greeted those who entered the press box, and throughout the night he talked to everyone. Race talk, personal talk, news-of-the-day talk, it didn't matter -- Shiels would talk about it, and in a most fun and entertaining way. So full of personality, happiness and quick one-liners, Shiels probably could have been a stand-up comedian. But we had him instead, and how lucky we were. Dan Reed, who won all those races and track championships at 99, was asked by Shiels long ago where he was from. Reed replied Turkey, Texas, and no, no one knows where that is. Shiels showed up at Reed's place with a city limits sign from Turkey, Texas. Dave Clement recalled Shiels arriving at his place carrying two big canvas bags and saying, ''I understand this is a two-bit operation.'' Clement affirmed, and with that, Shiels dumped the content of those bags all over the floor -- $200 worth of quarters. A week after taking a rare spin in one of the family racers -- and being lapped and spun out -- Rick Belletto was greeted by Shiels upon his arrival at the track. Understand, Harry, Steve and Jeff Belletto have won a ton of hardware over the years. So Shiels presented Rick with his very own trophy -- of two crossed yellow flags. ''I know your dad and brothers don't have one, but you have one,'' he told Rick. The stories went on and on, making us all appreciate -- and miss -- Shiels that much more. 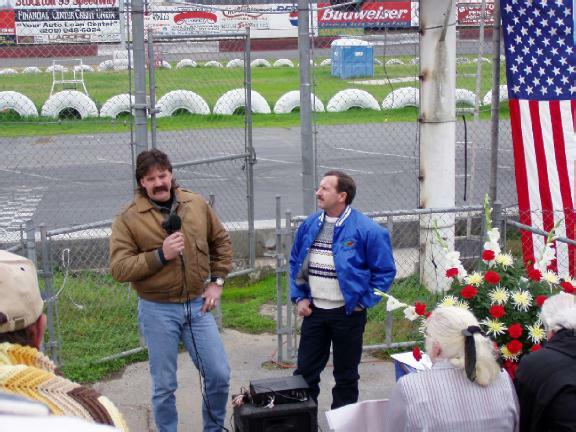 ''He was an important man to me, more as a friend than anything else,'' track co-owner Ken Clapp said. 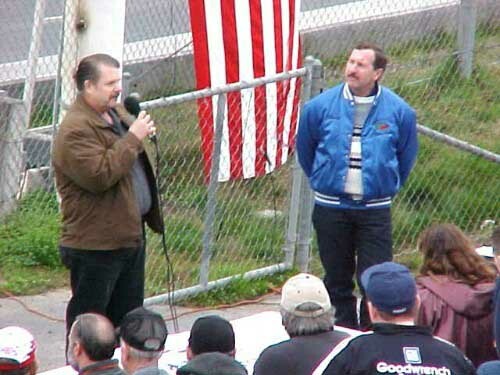 Track manager Ken Gross addresses the crowd. 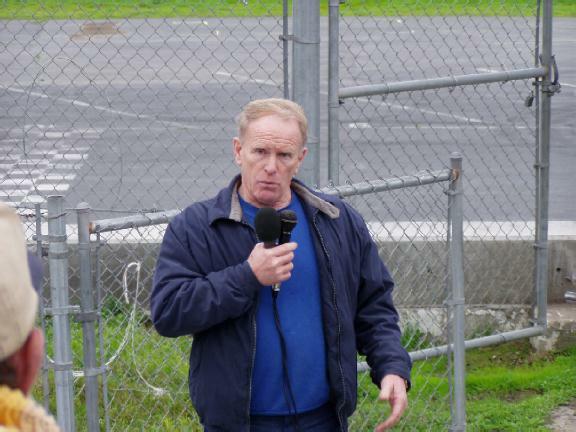 Bruce Cunningham was the MC. 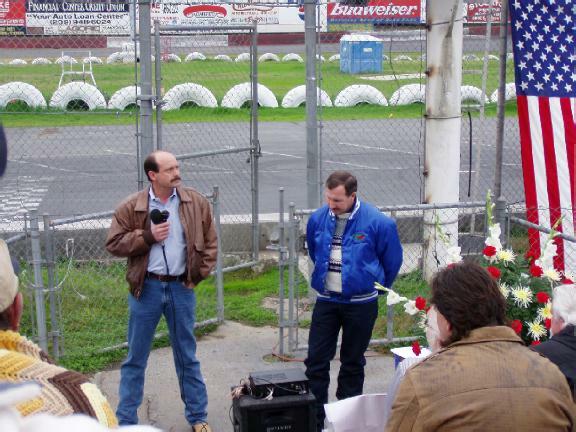 Rick Belletto representing Belletto Motorsports, presents a plaque in Jim's honor, that will be prominently mounted at Stockton 99 Speedway. 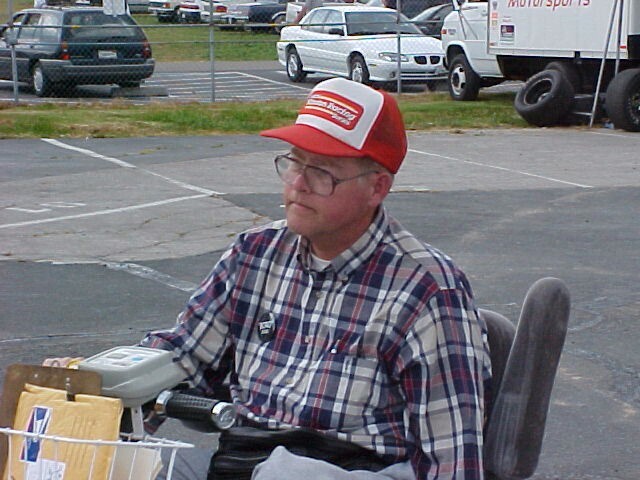 Jim Shiels is the main reason I looked forward to going to Stockton 99 Speedway on Saturday nights. 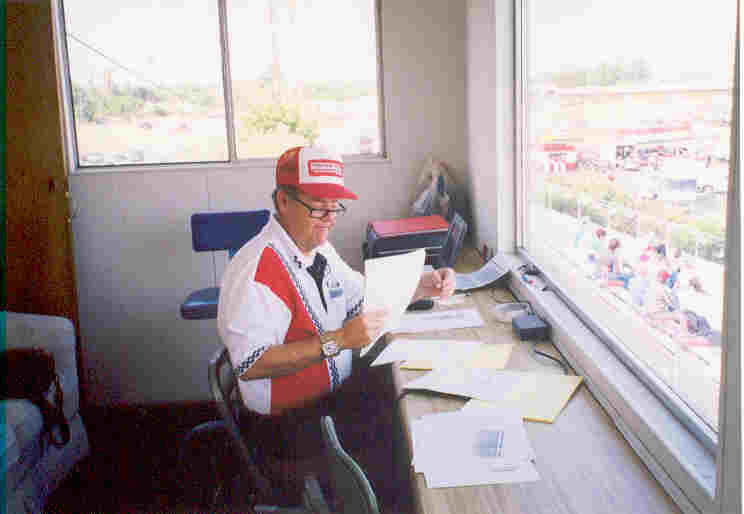 I knew that he and his wife Jo would be there every week, sitting in the far corner of the press box, keeping track of all the drivers' times. 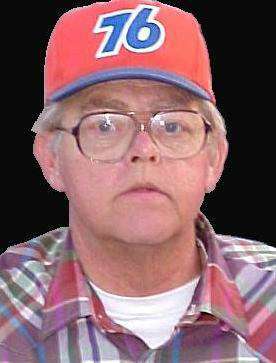 The longtime track statistician didn't really need record books at his fingertips because he had a lot of records and dates memorized. He always had a story to tell or some gossip to share. He and Jo helped me a lot during my first year of covering Motorsports. They filled me in on the drivers' histories and racing habits. They answered my questions about the differences between cars. They took time to explain the rules and protocol. 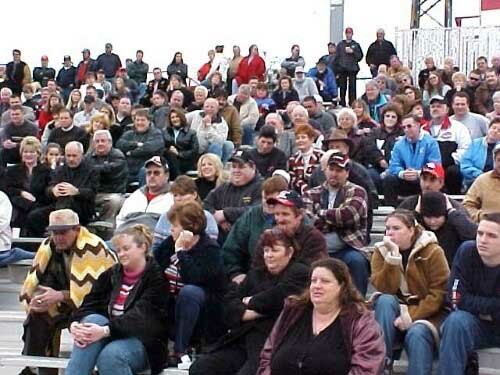 They generally had the most to do with making me feel comfortable at the track, someone who had only recently become interested in auto racing. While Jo will be back at the track this season, Jim's spot by the window will be vacant. He died two days before Christmas after a long battle with cancer. We knew he might not be back at the track this year because he tried to prepare everyone for it last season. He would just matter-of-factly say he was getting worse, that the doctors told him the cancer had spread. He seemed at peace with it. But I don't think I'm alone in saying I still didn't think he'd be gone so soon. A week before he died we traded e-mails where he wrote he couldn't get up and down steps anymore, and half-jokingly said there was no way the track would get costly ramps installed up to the tall press box to accommodate his electric scooter. 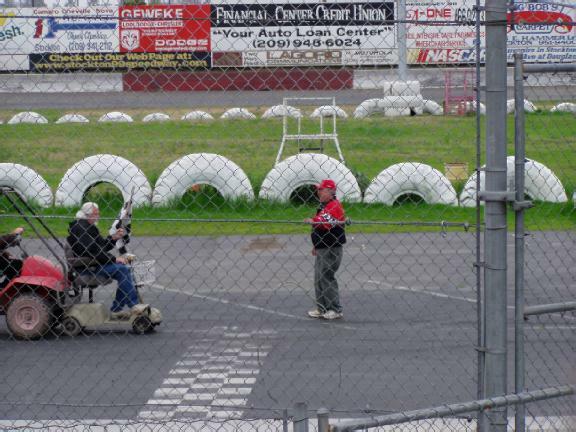 I guess I held out hope he'd still come and cruise around the pits, finding another spot to be part of race nights. 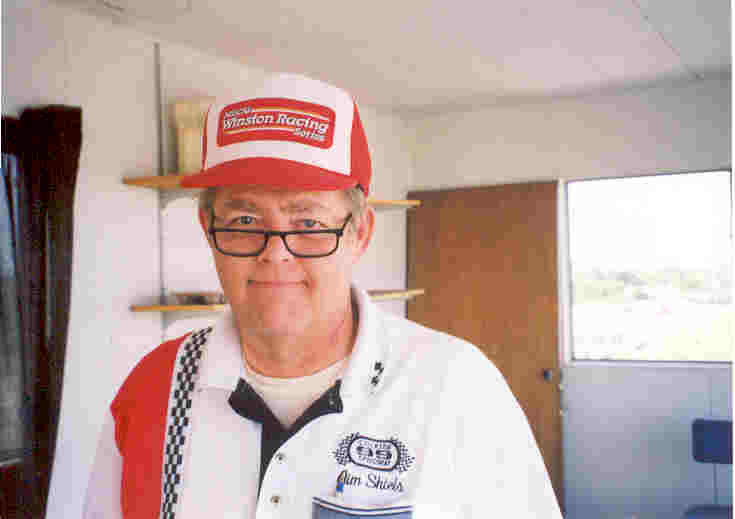 There will be a memorial for Jim Shiels today at 1 p.m. at Stockton 99 Speedway. He didn't want a ceremony of any kind, but Jo said there were too many people who cared about him and needed to do something. 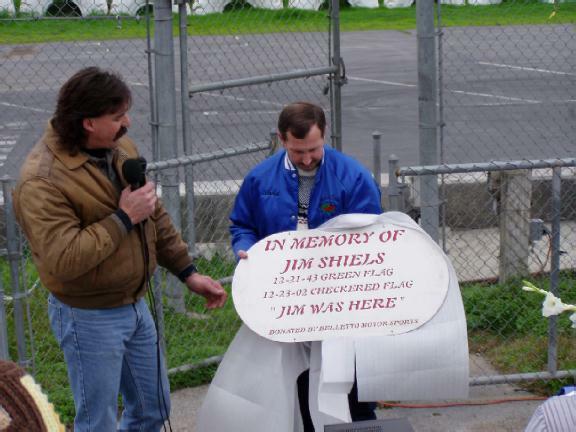 She wanted to give everyone a chance to honor him, as did track officials who will be among those sharing stories about Jim Shiels today. Copyright © 2003- Modesto Bee, The (CA) and may not be republished, rebroadcast or redistributed without the express written consent of The Modesto Bee. I'm saddened to have to inform you that our dear friend, Historian, announcer and statistician extraordinaire JIM SHIELS passed away at 3:15 PM today December 23, 2002. His wife Jo was with him at Mercy Dominican in Merced. He passed peacefully with no pain. 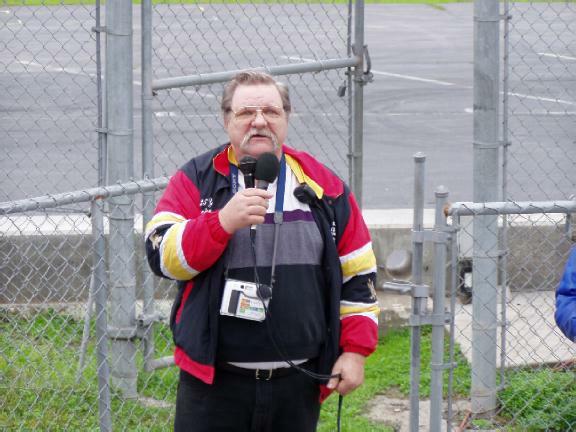 He will be sorely missed, he was the "father of this web page", keeper and organizer of all 99 stats and he truly loved the Speedway and all of us. His tireless quest of keeping every bit of information up to date was unbelievable. I don't think we understand how extraordinary this was with his health the way it was. I can't remember him missing a deadline, no matter what. 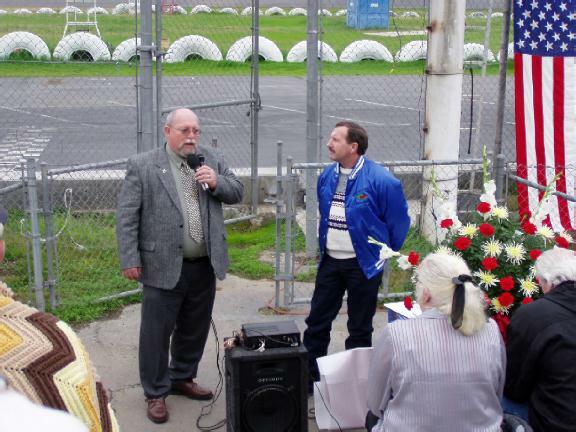 I will miss my friend, and the Speedway will miss our tireless over-achiever. We send our Love to Jo and their family and rejoice because Jim is at peace. The fund is set up. For more information call 209-952-7379.